The Legacy engine is part of the Mobius group of products. Mobius is an image recognition system designed to work with camera-enabled mobile phones. When a user sends an image via a mobile phone, Mobius automatically receives, identifies, and replies with custom messages, e-commerce channels, special offers or unique mobile content, including video and sound files. 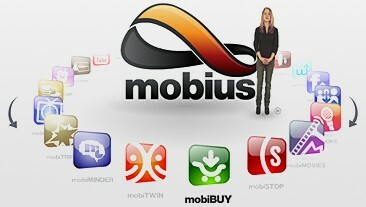 Mobius works on all mobile phone carriers, requires no downloads, and is available anywhere in the world where a mobile internet connection is available. Mobius responds in the primary language of that a call originates from. Mobius mobile image recognition technology is also used in the mobiLUX, mobiSHADES, mobiPET, mobiWINE, mobiBIZ and mobiTRUST applications. Legacy service along with Mobius International is partnered with weathertrends360.com to provide timely weather alerts on the anniversary of your loved ones birthdays and holidays which is geo position based. That way you can know if you should take an umbrella or a coat when you make your next visit to the cemetery. CompEx, Inc., is the parent company of Mobius. CompEx, Inc. provides comprehensive integrated web solutions to solve the complex connectivity problems facing today's organizations. Based in Columbus, Ohio, CompEx, Inc. is a privately-funded company formed in 1992 as a technology brand of global invention and vision to develop solutions for new business ventures. CompEx specializes in interactive mobile marketing, web and mobile application development, business intelligence, infrastructure/security, and digital data management. Our innovative thinking, knowledge and systematic work methodology enable us to provide our customers with timely and highly effective solutions. Survivability in digital estate planning, we can help! Want to know how contact us below..